Tribute to Cab Calloway, who collaborated with Fleischer Studios (creators of Betty Boop cartoon) several times.In this case, for the short film Minnie The Moocher (1932), published by Paramount Pictures, inside Betty Boop's world. 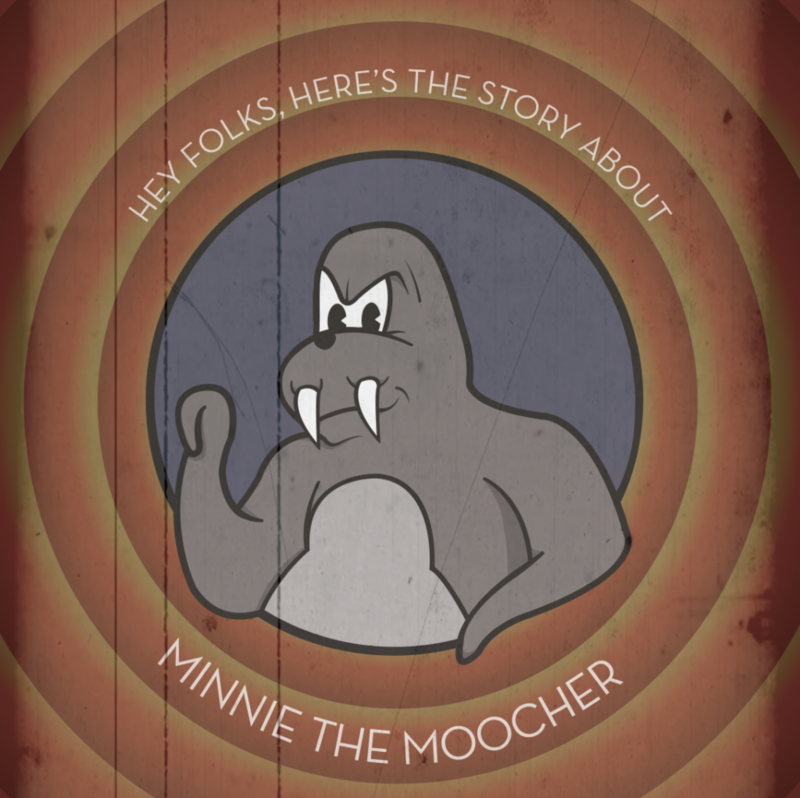 I wanted to join the character of the walrus (personified in Cab Calloway) with the iconic image of Looney Tunes, associating the phrase "Hey folks ..." from the beginning of the song of the same name as the short film with "That's all folks! ", a phrase that always joins credits of Looney Tunes animations. We join macabre and sinister character with sympathetic and infant background.